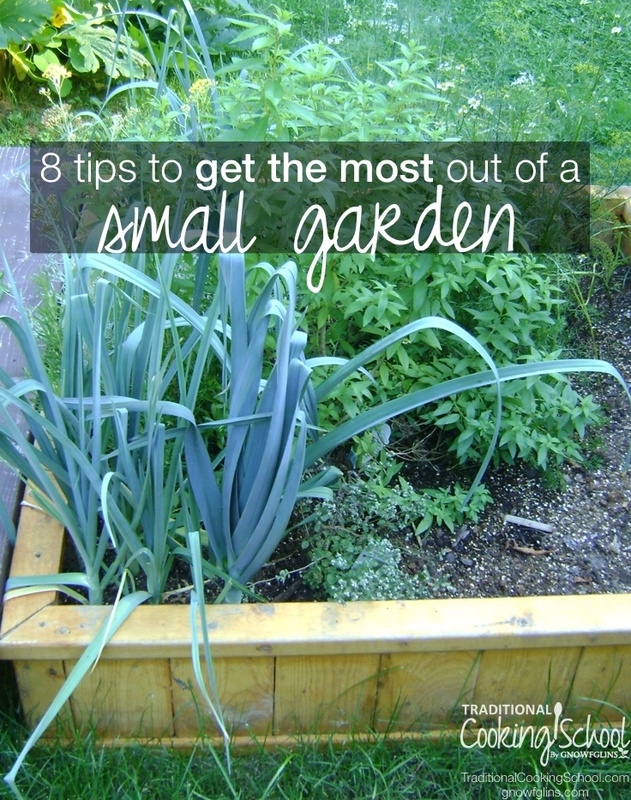 If you have a small garden, you know the challenge of fitting all you want to grow in the space you actually have. I used to have a large backyard with a vegetable garden that grew bigger each year. Then we moved. Our new house has lots of lovely features, but on our tree-covered lot, sunny space ideal for vegetables is at a premium. As I have built and planted and planned for our small-space garden over the last two years, I have learned a few things to make the most of a small gardening space. 1. Plant things you can't buy easily. This was a hard one for me to learn, because I wanted to grow everything myself. But with my newly limited garden space, I realized it just wasn't possible. 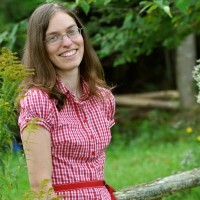 I first eliminated things that were easily available locally. Red and yellow onions? I could buy them at the farmers market. Rainbow swiss chard? Definitely something to grow myself. I also try to grow as much as I can from the “dirty dozen” list, since organic produce is hard to come by in my area. 2. Grow up. 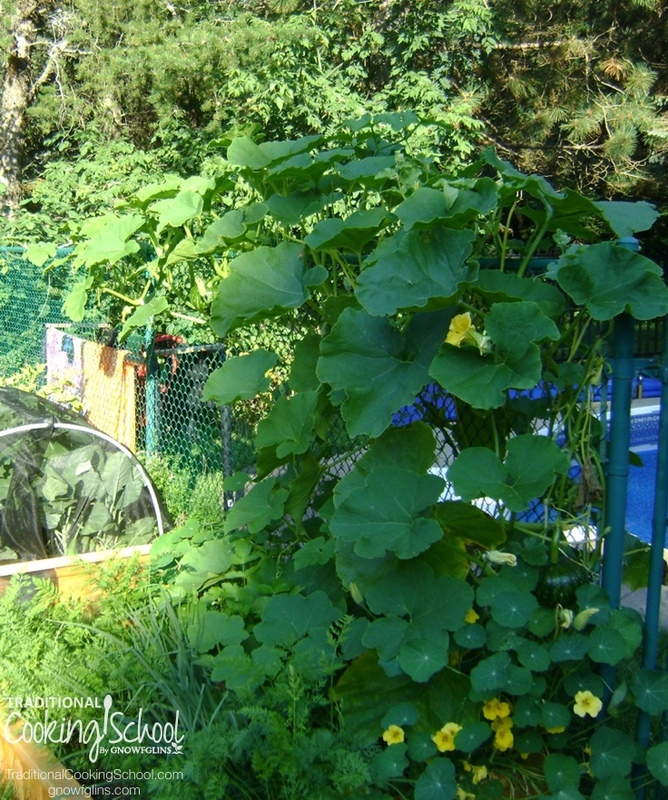 You can gain lots of garden space by training vine plants such as melons, cucumbers, and squash to grow up, instead of out. We are blessed with a fence at our house that does this job well, but building a simple trellis would also work. As your vine starts to grow, coax it up by gently wrapping it around the fence. Soon enough it will continue the path up on its own. 3. Look for compact varieties of your favorite plants. I love growing my own zucchini but the plants can become monstrous. Last year I switched varieties to one known for smaller, bushier plants. I got the same yield of fruit, but was able to plant four plants in a space that would normally have been a squish for three, and was able to plant herbs in around them as well. Many plants also have dwarf varieties which take up less room, but often have smaller fruit, so be sure to read descriptions carefully. 4. Practice succession planting. This means plant one thing, harvest it, and then plant something else in its place. This works particularly well if you have a long growing season, but even in my very short season I am able to plant a second crop after harvesting radishes and peas. 6. Don't take seed spacing too seriously. If I followed the proper seed spacing on each seed packet, I wouldn't have near the harvests that I do in my small garden. It can be a balancing act between too squished and extra room, so err on the side of caution your first year, and make note of where you can squeeze in something else the following year. Tomatoes are the one plant I don't crowd as it makes them more prone to disease. 7. Practice companion planting. Some plants naturally grow well together, and some plans can actually impede the growth of another. 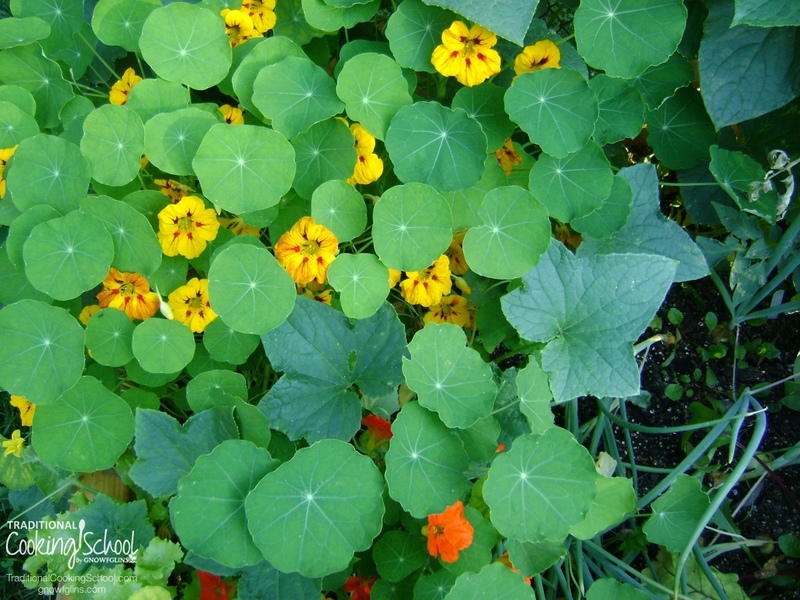 Plan your garden to make the most of beneficial relationships. For instance, you can grow radishes among your carrots, as your radishes will be harvested long before the carrot roots start to really develop. Planting lettuce under tomato plants can act like a natural mulch around the base of the plant and the leaves of the tomato plant shade the lettuce from the hot summer sun. 8. Use containers. Container planting is a great way to extend your garden space. Just remember to keep them well-watered. Containers are especially great for things that tend to take over a garden, like mints, lemon balm, and Jerusalem artichokes. The yield may not be as big in a pot, but it's worth it to keep these plants contained! Do you have a small garden? What do you do to make the most of the space you have? I have a container (square foot garden) on our flat kitchen roof, where there’s plenty of sun. I live in a row home in “Suburbia” with a back yard that is primarily a concrete patio, with 7′ privacy fences all around and a detached garage in the back, which leaves only a few small spots that enjoy full sun, so I realized that it was really important to only grow things that I love and will use. I’ve been slowly giving away the “builder landscaping” plants that came with our new build, and creating spaces wherever I can find them. This year, I’ve utilized my 2 large planters that were my containers for “4th floor dirt therapy” in our condo, and planted blueberry plants in them, my actual garden spot has rainbow chard, rainbow carrots, and sugar snap peas, and I’m creating a separate, slightly raised area for my bush beans, since they took over my whole plot last summer. My pots will be one with a mix of lettuces, one or two for herbs I use regularly, and one (hopefully) with “mosquito repellent” plants for bug control. I hope to get some hanging baskets to hang from the fences to attract pollinators, as well as add some colour to our backyard. My other issue with my small space is that I have 3 kids under 5, so it also needs to be a functional play space for them. It’s definitely a work in progress! Thanks for the great tips! I’ll be trying a couple of them out this year. Many plants will grow well with light shade like very tall pine trees. 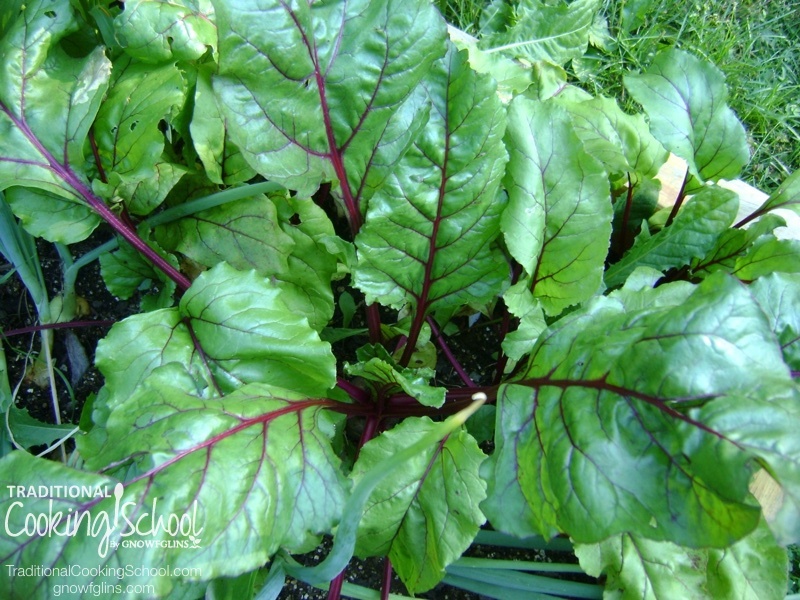 Some of these are chard, lettuce…also, plant 2rows close together then a space to walk. Easier to pick and less weed space. Make sure to get your soil tested and amend it for optimal growth. For tomatoes, peppers and many other plants stagger planting them in beds. Less space for weeds and nothing would grow in the empty corners anyway. Thanks for the tips, Cheryl! 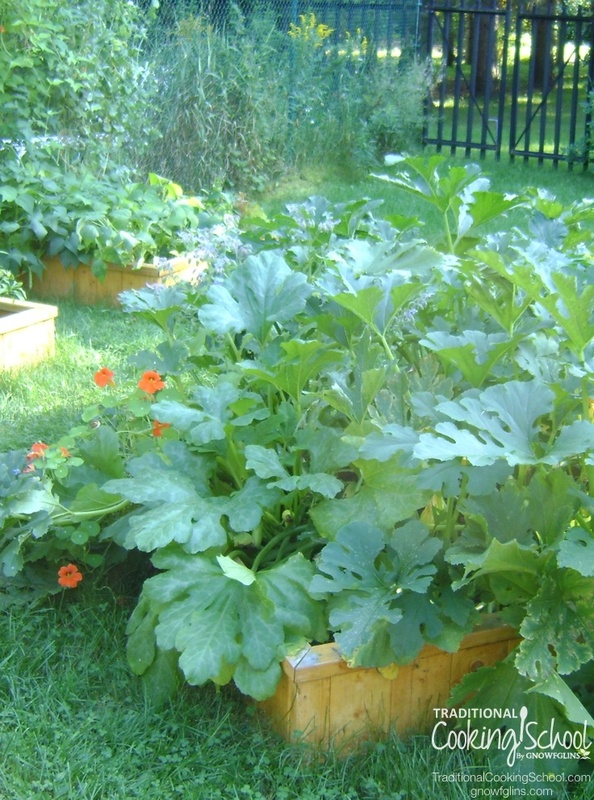 When I used to have garden beds, instead of the boxes, I utilized stagger planting as well!